Is my girlie related to any of your horses? 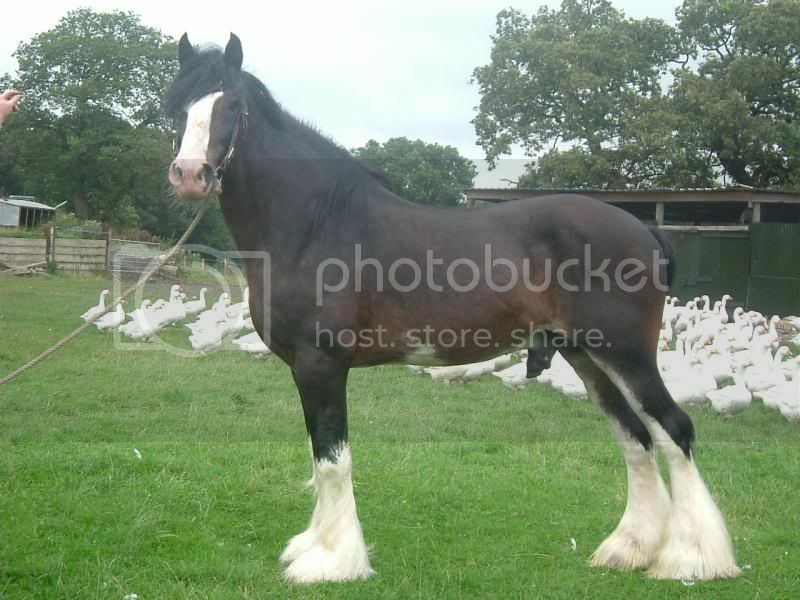 Ddrydwy Drayhorse Ace of Spades was owned for a while by Drayhorse Shires, in Kent I think. www.hurstgreenshires.com you will see 'stallions' at the top menu. I saw him once, he is tall. Your girl has some good horses in her blood. My horses are sons and grandson of Walton Supreme. Oooh will have a look now, thanks Holdfast. Funny you should say his tall. My little lady is 18 months and stands at 15.3hh at the withers and 16.1hh at the Bum, not sure how big she is going to be?? But I have a feeling she is going to be rather large!! Well it will be lovely watching her grow up. Do you know about www.allbreedpedigree.com ? You can track the lines going back to the 1700's in some cases. Just put those names you mentioned in the box at top left, and bingo! 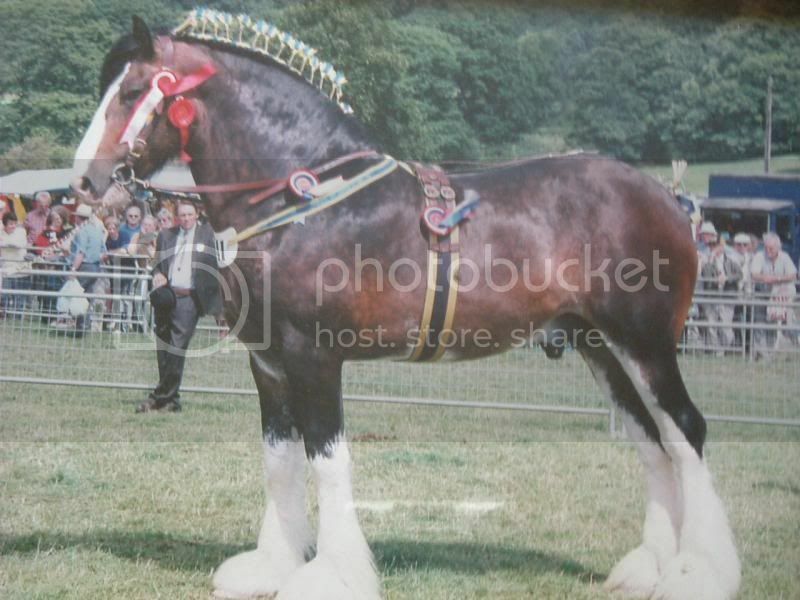 Walton Supreme was owned by Philip Moss and he died a couple of years ago. He was a stunner. I have some photo's of him from about 4 years ago if you would like me to post them. Hillmoor Prince Charles was bred by Philip Moss. Walton Supreme in his hay day. Photo from 4 or 5 years ago. He was so gentle. Absolutely stunning, thank you so so much.